All the answers for this meta are one-word adjectives. How suspicious! While each individual word is fairly generic, you can try putting various combinations of them into a search engine. Quite a lot of the time, a list of Pokémon moves will appear in the results. The first sentence of the flavortext clues this — qunxe and erqoye translate as Sun and Moon, which at the time of hunt are the most recent generation of Pokémon games — as does the title. So each answer gives a specific move. Now what? Well, Pokémon moves have a bunch of attributes, but in particular, these eight have all distinct types... and in Pokémon, types mean one thing: advantages! 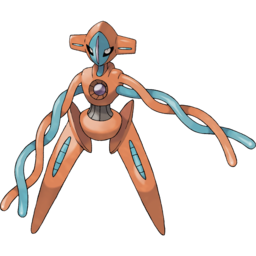 In fact, this set forms the longest possible chain of types where each is super effective against only the next one and no others, with the exception that the third element could be either Rock or Fire. As clued by the second sentence of the flavortext, we're going to need not only the super effectives, but also the not very effectives. So let's draw out the full type chart for these eight types. The green super effectives form a diagonal, and match with the grid we're given in the puzzle. There are not very effectives scattered about, and one ineffective at the bottom. So now what? It would be pretty natural to write something into this grid. But nothing we have is exactly long enough... right? Well, we haven't used anything linguistic yet. So let's try translating the words we have. We don't actually know the translations for some of them, but it turns out we do have all the ones for the puzzle answers. None of these are the right length either — disaster! Except that there is not only one way to translate each adjective. By now, you should have figured out that adjectives change their form depending on semantic properties of the nouns they modify. This is a linguistic phenomenon known as noun classes, and outside of Romance languages which mostly use masculine/feminine/neuter, there is a wide variety of different categories used for grammatical agreement around the world. Puflantu has three special classes of nouns many examples of which can be found in the Collage artifact. Conveniently, each of the eight nouns from the move names fall into one of our three non-default classes. Thus, what we need to do is inflect the modifying adjective for that class instead of using its root form. And voilà, they are all now eight letters. We're almost done. Read down the not every effectives as clued, and we appropriately find that to get this Galactic Empire moving, we have to make them GO BE THE VERY BEST. This (along with the original concept for the intro round meta) was the first meta proposed for the hunt, as part of the proposal for a xenolinguistics theme. The basic idea is that inferring what the noun classes are for a language without explicit instruction is itself a pretty interesting puzzle. Since we intended for solvers to learn the language throughout the hunt, we then needed another mechanic to construct this meta around. Several themes were proposed, including superhero names, emoji names, D&D monsters, and (the most thematic) Super Mario Galaxy levels, but in the end we went with Pokémon because it had a relatively large selection and a few obvious attributes to use. We designed the noun classes based on the moves we could use from the types in the chain. The first testsolved version used the generation in which each move was introduced as an index, but we switched to making all the inflected adjectives be eight letters long so we could reuse the type chart. In the end, the design of this meta meant that the solution had a bunch of logical leaps while the answers were very constrained and backsolvable, which wasn't ideal. However, we hope it served as an interesting and relatively accessible test of your language knowledge!